Whether it is Talisman, Humanimal, Axel Rudi Pell, or any other band Jeff Scott Soto involves himself with, the final result seems to be outstanding each and every time. 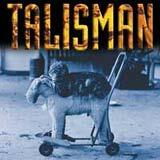 Such is the case with the latest Talisman album, Cats & Dogs. The last Humanimal album left me hungry for more after I reviewed it last year. That album has a natural flow to it: before you know it, the album is over. Such is the case with the new opus from Talisman. Each song is a winner, and before you know it, the twelfth and final track reaches an end. This album contains all the ingredients needed to create a hard rock gem. Guitarist Fredrik Akesson is back in the band, Jamie Borger handles the drumming, and Marcel Jacob performs on bass. Simply put, this lineup provides a hard hitting lesson of what melodic hard rock is all about. Each of the twelve songs contain a heavy dose of addictive melodies as you would expect. Big harmony vocals are used generously to accentuate the hooks of each song, without sounding too "sweet." I like the fact that each song has a unique feel, there are no "copy-paste" moments to be found on this album. The album is well balanced between uptempo rockers, mid paced tracks, and even a couple of dark, groovy rockers. The guitar work is a delight to listen to with each spin of the album. Akesson's numerous (but not overwhelming) solos almost sing for themselves; Marcel Jacob throws in some of his own riffing on the bass to give the listener an extra treat. It is pretty obvious to me that this band has just the right chemistry when it comes to performing their music. The music is very cohesive, with each member of the band able to compliment one another like they have been playing together their entire lives. The arrangements come together very naturally, and the album has a very smooth flow from one song to the next. As a result, this album is very easy to absorb and get in to. Of course, Jeff Scott Soto is still on top of his game with his unmistakable, raspy vocals. The production is crystal clear and perfectly balanced, yet not too "artificial" or over polished at the same time.